Reine, November 23, 2009 in Travel. About one year ago, it felt like a good idea at the time to cross a third of the world in 37 days. A 12000 kilometer journey by train, ferry, horse, bus, Shinkansen, tram, subway, taxi, foot and swan boat. Going from Gothenburg to Tokyo by train is one of the longest routes available. It spans across nine time zones and seven countries. The largest part is the Trans-Siberian railway from Moscow to the Pacific, the world’s longest railway with 9238 kilometers. Reine, September 15, 2008 in Travel. I shared cabin with a Russian couple on a night train from Helsinki to Moscow earlier this week. They told me that a plane had crashed near Perm with 80 dead and some damage done to the Trans-Siberian railway. 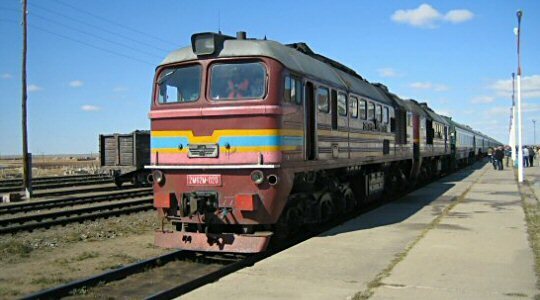 Since I was about to embark on the Trans-Siberian a few days later and pass the city of Perm, I was curious on how this would effect my journey.